One of my guilty pleasures in life. Crisps. I have raved on and on about how I love them so and how all my childhood photos of me, I always have crisps in my hand! 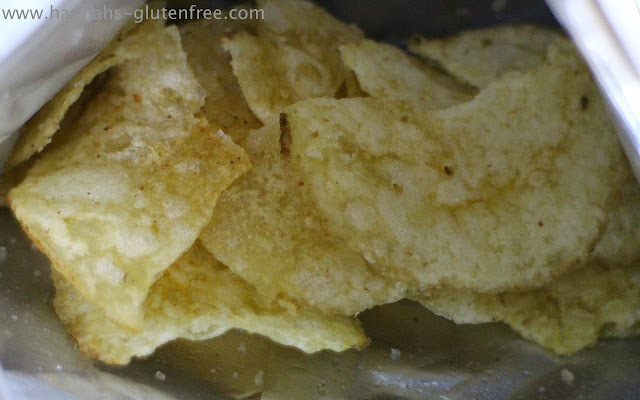 Looking back, not always gluten free... oops! I really must dig those photos out and feature them on here one day, as I am sure they will give you all a good laugh! Well today it was the turn of Darling Spuds, a brand I have heard of but never tried. This is what I find fantastic about snackly, always something new to try. This 18g bag was pretty perfect for me too, as although I do like to live a healthy lifestyle I have found that I cannot live without my crispy potato friends. At 88 calories I find I can get away with this everyday rather than a 200 calorie normal bag. Buying these in their bulk box is not too pricey either so is defiantly something I am considering. These are certified gluten free, Vegetarian & Vegan friendly as well as no GMO's, so all round lovely! It also states it contains no allergens and only being potatoes, sun flower oil and sea salt it's very clean ingredients! These crisps are thiner then Kettle Chip brand, I would say more like Tyrells. They are thinner which allows them to get a few of those almost translucent crispier, more flavoursome crisps in the pack which are my favourites. The sea salt was nice and chunky but is adhered to the crisp well, which gives a good punch of intense flavour every now and then. I found that the texture was crisp and had a good snap. So all round a very pleasurable experience. 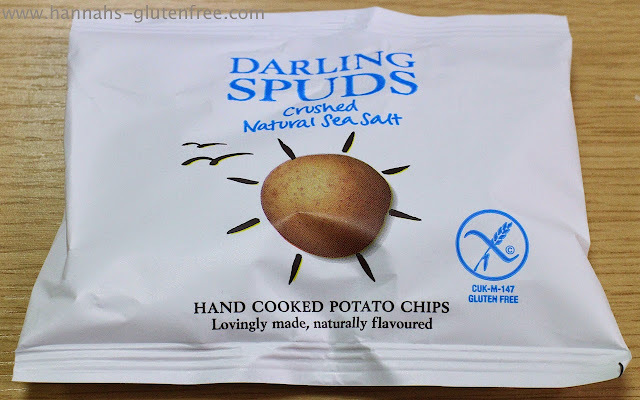 I would most certainly buy these crisps again, however I think I will only be able to order them online, which is to be expected with the 18g bag but I am sure that the sharing bags were in Tesco at one point in time, but they do not seem to be any longer. Which is a shame as I cannot grab them in a supermarket. As I am sure the other flavours would be just as good and is something I would like to try. I will keep my eye out in garden centres food courts as these are the type of brands you find there! If not I really must remember when shopping online to order some! Short and sweet review today!